Every year, one hundred major cities are ranked by how well they support people, profit, and the planet. 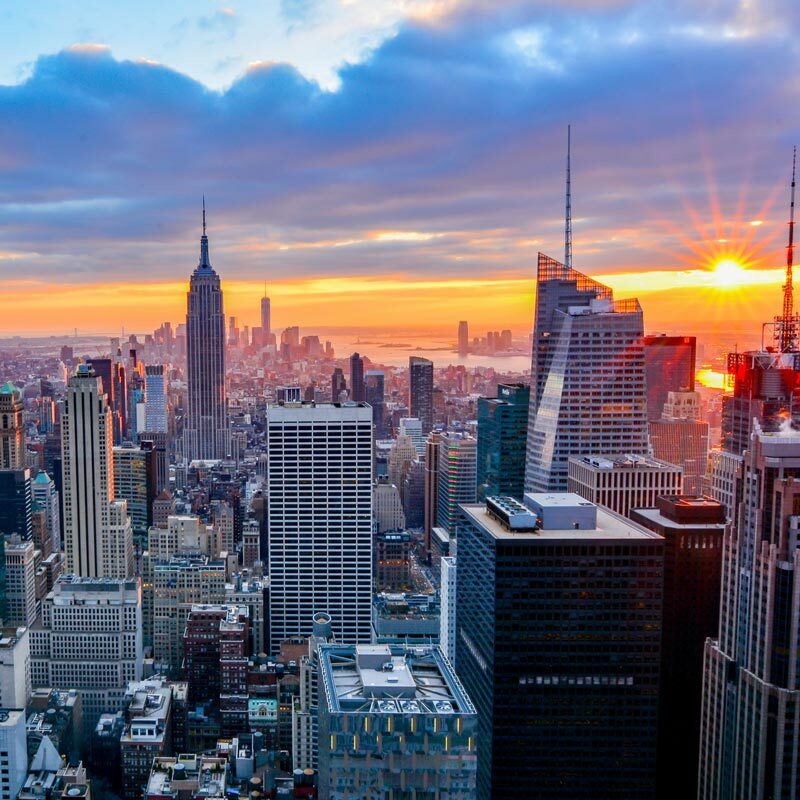 Starting with New York, ranked number one in the United States, we discuss the lessons and challenges of our top ten cities as ranked in the Arcadis Sustainable Cities Index (40-page report). Arcadis is a global design and consulting firm. Cities are ranked by 32 indicators. For People, indicators include health, education, income inequality, crime, housing, and more. For Planet, the index weighs renewable energy, greenhouse gas emissions, drinking water, air pollution, etc. For Profit, weightings include mobility, ease of doing business, GDP per capita, etc. These are also smart cities, connecting public departments with private partners. These are connected cities, efficiently turning on lights only when needed, collecting useful data, and making the data open to citizens and partners. Here are the US cities, which ranked highest in people, profit, and planet, our take on their sustainability success, their challenges, and links to articles about these cities. New York is a global leader in banking and finance, dazzling in the performing arts, and a city of opportunity for all. Over 8 million live in the city’s five boroughs. New York has the lowest car ownership per capita in the US, with only 45 percent of households having a car. Density creates a tapestry of 6,000 high rise buildings woven together with integrated mobility that includes subways, buses, ridesharing, ferries, and bike lanes. New York has the highest walkscore of all major US cities and walkers are never more than 10 minutes from a subway station. New York has a long history of defending its neighborhoods and keeping them walkable, as is highlighted in Jane Jacob’s classic The Death and Life of Great American Cities. See also: New York Fourth Regional Plan Presentation. Boston is a great center of education and research. The first public school in the nation was established there almost 400 years ago. Now great universities such as MIT and Harvard grace the Charles River, attracting thousands of research organizations and tech innovators. Boston has one of the highest walk scores, benefiting from its compact 48 square miles, and enjoys bus, subway, light rail and ferry transit. Boston is a great center of education and research. 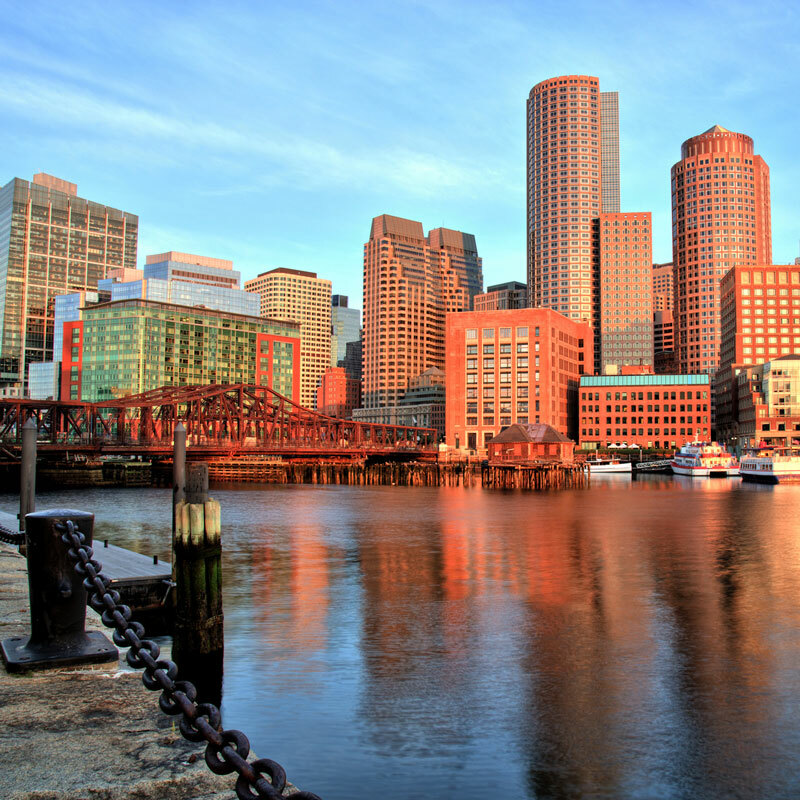 Boston uses little renewable energy and faces the added challenge of sea rise. San Francisco is part of Silicon Valley, which includes over 5,000 tech firms such as Google, Facebook, and Intel. 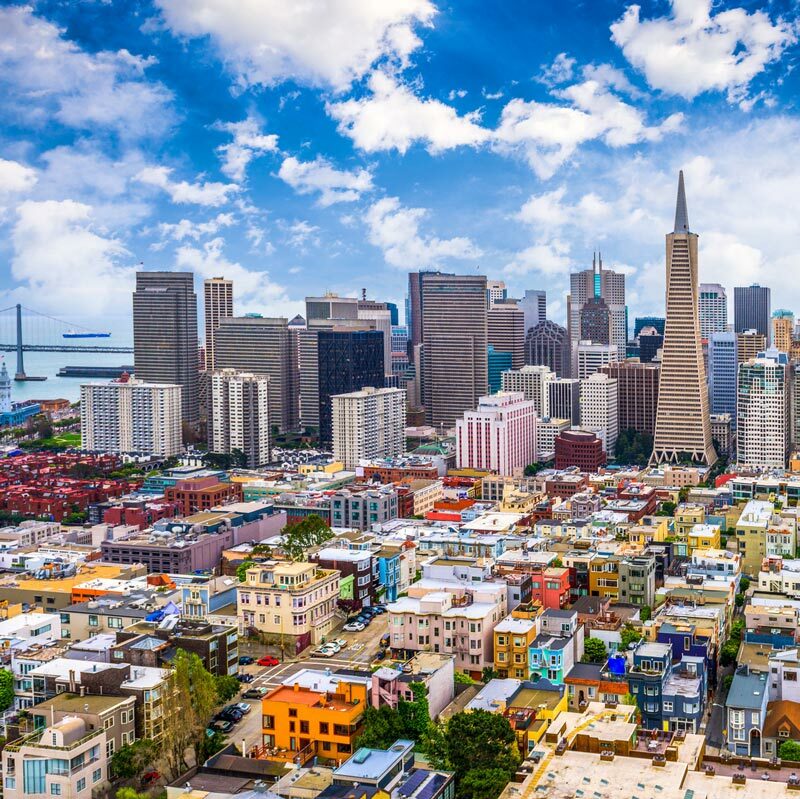 San Francisco ranks #1 in the U.S. Clean Tech Leadership Index. Industry has attracted highly educated workers from all over the world, adding to the city’s diversity and inclusiveness. Already energy efficient with about 40 percent of energy generated with renewables, the city has ambitions to be powered with 100 percent renewables. California building code requires that new homes be zero energy by 2020 and commercial buildings by 2030. This city of 47 square miles has a growing housing shortage, making it unaffordable for most. Most commute to work car free. San Francisco is headquarters for Uber, Lyft, AirBnB, and many shared-economy innovators. All automakers have Silicon Valley R&D centers with prototype self-driving cars. City residents keep 80 percent of waste from the landfill; the city has a 100 percent goal. Those living in Seattle feel a connection with nature. From any of its hills you can see the network of islands in the Puget Sound and snow-capped Mt. Rainer in the distance. Many buildings are energy efficient. The Bullitt Center is a certified Living Building, so efficient that its solar roof produces 60 percent more electricity than it uses, making the building net positive energy. Renewables meet 77 percent of the electricity needs for the state. Mobility has been too car-oriented, but that is changing with everything from bus rapid transit to voters approving a vast expansion of commuter rail. Washington Governor Jay Inslee is a long-time environmentalist and author of the classic Apollo’s Fire. The District of Columbia is the U.S. city with the highest percentage of people who walk to work. Walking is invited with the beauty of the city’s architecture, the National Mall, and green spaces. Its extensive Metro rail system, formerly had an excellent reputation, but now its aging infrastructure needs funding to again be reliable. Washington has a history of inclusiveness and job opportunity, but that may change with the new Trump administration. There is currently a tension between those who want to reduce the size of government, and those who support Washington, DC goals of becoming the healthiest, greenest, and most livable city in the United States by 2032. Read about how Washington DC can use technology to advance ZNE buildings, green infrastructure, and connected transportation. The outdoors invites people to hike, bike, and ski whether on the Cherry Creek bike path, a city park, or high in the Rocky Mountains. Take Amtrak to Denver and use the Sixteenth Street Mall bus to reach your hotel. The RTD rail system connects many suburbs and now includes the airport. Although some buildings have solar and a few homes are ZNE, Colorado electricity is primarily from coal. Yet groups like NREL and the Rocky Mountain Institute are demonstrating that ZNE campuses and ecodistricts are feasible and a better way to work and live. In development is Pena Station Next, a smart community powered with a microgrid including solar+storage. Denver also scores high in People indicators. The Arcadis report states: “Los Angeles continues to be a main hub for economic growth and innovation in the US, attracting population growth, entrepreneurship and international investors.” LA has reduced greenhouse gas emissions 20 percent since 1990. It has reduced water consumption 19 percent in one year, with comprehensive plans to achieve water independence. It is feasible to live carefree in LA, with its ever-expanding Metro transit, Metrolink regional rail, walking, bicycling and ridesharing. LA also has over 1,000 EV charging stations and a comprehensive Sustainable City Plan. LA embraces diversity but faces income inequality. To help, LA was the first major US city to establish a $15 per hour minimum wage. LA’s electric utility, SCE, is replacing nukes and gas with solar+storage+smart grid. Know as the city of brotherly love, Philadelphia has worked on inclusiveness since it was founded in 1682 and English Quakers peacefully cooperated with Native Americans. Philadelphia was at the center of the founding of a new nation. The city’s grid plan became a model for early American urban design. While preserving the central city design, including a vast park system, a new Philadelphia2035 plan is unfolding that includes 18 district plans and integration with a northeast megaregion. Challenged with income inequality, the plan includes affordable housing and improved education for all. Pennsylvania is only three percent powered by renewables, creating a challenge for a city that aspires to be green. Read about Philadelphia’s innovative programs to address poverty, early childhood development, and at-risk children. Baltimore is an inviting city on the water. It has been a leader in greenhouse gas reduction. However, Maryland is only seven percent powered by renewables. Baltimore is challenged with income inequality, but is revitalizing one neighborhood at a time. Miami does well in affordable housing for its diverse population. Miami is at risk with over $40 billion of property and much of its population at sea level; flooding and sea level rise is a serious challenge for Miami with its drinking water aquifer already becoming salinated. Although blessed with sunshine, Florida is primarily powered by methane (natural gas) a potent heat-trapping greenhouse gas. Breaking down silos and integrating government agencies, Miami is addressing its challenges in water, development, and mobility. Miami is a smart city, using open data and the internet of things. After hours of research, it is clear that everyone has a different idea about what it means to be a sustainable or green city. Emissions and renewable energy are important, as are energy efficiency, equity, and health. Some cities, in our opinion should have been on this list. For example, Portland is not one of the 100 cities in the Arcadis list compiled by the Centre for Economics and Business Research. Should Baltimore outrank Chicago? The Arcadis Sustainable Cities Index report, at 40 pages, is well worth reading. You may disagree with their ranking Zurich, Singapore, and Stockholm at the top, US states in the middle, and some cities excluded. They argue that to be a sustainable leader, you need to do well in many areas of People, Profit, and Planet. We can learn from Zurich’s success excelling in health, happiness, and economy, as it stays on track to become a 2,000-watt society by 2050. Get started today. Pull together a city leadership team, pick a few indicators, create goals, and get busy. You could select a soaring goal such as improving life expectancy by a year, a practical goal such as reducing landfill waste by five percent, or improving employment by one percent. Make your city a little smarter by breaking down silos, connecting, installing sensors, big data and machine learning. You will be surprised about how achieving and celebrating success in one area, leads to success in others.